Disorderly Conduct is a very broad statute. It could be anything from fighting, to insulting someone to being drunk in public. Anytime you “recklessly cause inconvenience, annoyance, or alarm,” it is possible you are committing the crime of disorderly conduct. There are two levels of disorderly conduct in Ohio. A misdemeanor of the 4th degree and a minor misdemeanor. A minor misdemeanor does not carry any risk of jail time and is always expungeable regardless of what is on your record. The maximum penalty for disorderly conduct is a $150 fine plus court costs. A 4th degree disorderly conduct carries with it the possibility of 30 days in jail and up to a $250 fine. Typically a disorderly conduct becomes a 4th degree misdemeanor if someone persists. Free Consultations. Payment Plans Available. Credit Cards Accepted. 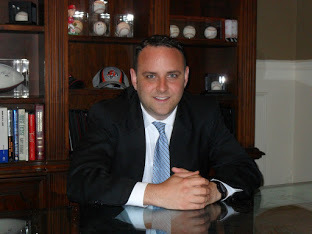 Nicholas Klingensmith is a DUI Lawyer and Criminal Defense Attorney located in Cincinnati. Before Nick became a DUI and Criminal Defense Attorney he was a prosecutor, constable and also a law clerk. Nick is a graduate of the University of Cincinnati and Chase College of Law. Nick defends clients throughout Southwest Ohio including: Cincinnati, Mason, Hamilton County, Clermont County, Butler County, West Chester, and the surrounding areas. Contact DUI Lawyer and Criminal Defense Attorney Nicholas Klingensmith Today.